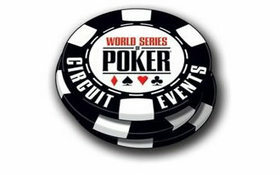 Poker fans can expect to hear the now expected intro of “The World Series of Poker Presented by Jack Link’s Beef Jerky” whenever they watch the World Series of Poker on ESPN through 2012. According to the Wall Street Journal, the two companies have announced they will continue their sponsorship deal through the 2012 WSOP tournament series. The deal extends the partnership beginning in May 2011 –the beginning of the 42nd annual World Series of Poker—and runs through November 2012 –the conclusion of the final table for the 43rd annual WSOP. Jack Links began sponsoring the WSOP in 2009, after Everest Poker and the WSOP abruptly parted ways over super-imposed images of a competitor’s logo appearing on telecasts in some European markets –this case is still pending in the courts. The partnership between Jack Links and the WSOP has seen the WSOP telecasts littered with Jack Links infamous “Messin’ with Sasquatch” TV spots, which are some of the better advertisements on television –and likely appeal to the WSOP’s target audience. Jack Links Beef Jerky marketing director Jeff Lefever had this to say regarding the renewed sponsorship deal, “Poker is entertaining, unpretentious, unpredictable and full of fun and camaraderie among friends. The same attributes can be used to describe the Jack Link’s brand”. This entry was posted on Saturday, November 6th, 2010 at 10:30 am and is filed under Poker News. You can follow any responses to this entry through the RSS 2.0 feed. You can leave a response, or trackback from your own site.